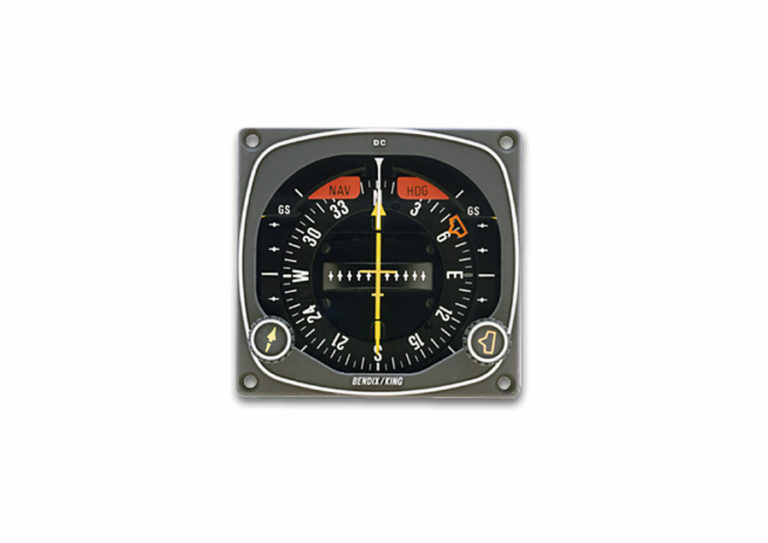 The panel-mounted KI 525A pictorial navigation indicator combines the display functions of both the standard directional gyro and the course deviation indicator. This combination gives the pilot a single view of the complete horizontal navigation situation. It greatly simplifies course orientation, interception, and tracking, so you have to work a lot less. It also comes with manual controls for course and heading datum selection. Dual glideslope pointers are on view only during an ILS approach. The KI 525A is the panel indicator for the KCS 55A Compass System, an optional part of the KFC 225 Flight Control System. Internally lit, the KI 525A operates at 14 or 28 VDC. Models are available with 5 volt lighting. It comes with a choice of a gray or black face. Versions available that operate at 30 Hz or 400Hz. Optional bootstrap heading synchro for any device, such as an autopilot, that might need heading information. For high vibration environments like a helicopter, the KI 525A is available with glideslope needle damping. Optional night vision goggle capability. TSOd.